According to Wafia Al-Rikabi, she never really intended to make a career in music – which seems strange, considering that she made her public debut performing songs on national television at age six. We’re glad that she changed her mind, because we’re obsessed with her fluid take on pop. One listen to her treatment of Mario’s 2004 release ‘Let Me Love You’ should be more than enough to get you hooked as well. 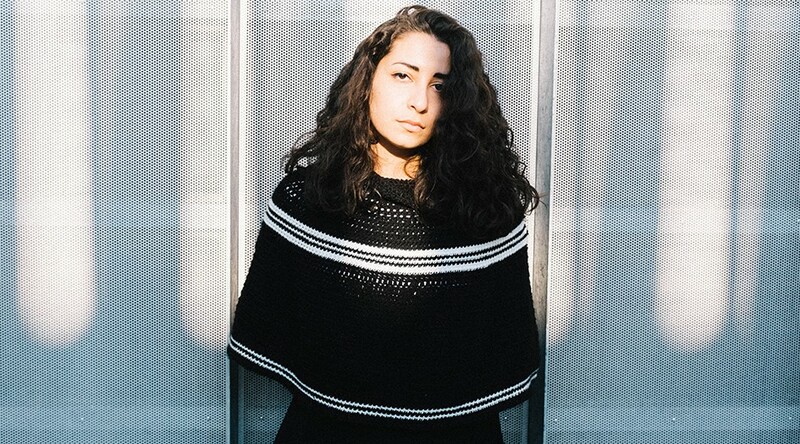 With an EP release coming soon, and a full-length album on the way, it’s time you got formally acquainted with Wafia. Download Limit’d by Hype DC for iOS and Android for exclusive features, sneaker news, and discounts. So how did you get started in music? There’s not a whole lot online. I was born in the Netherlands. Once I was singing in class and this lady scouted me out and asked if I could do a Christmas pageant. I did that and then did this whole weird tour thing. Then I somehow ended up on national television singing these songs in this competition. I came second place and I remember sulking on TV. Six? It was the worst. So you were always an overachiever then? Oh yeah, my parents will vouch for that. You just took it from there? That was it from six years old? Well I did that and that was the peak of my career. [Laughs.] We always moved around, then a few years ago we lived in Adelaide. That was a great vibe and I started really getting into music again, doing choirs and stuff. I got really timid because I didn’t really know how to make friends and I was always a very anxious child. From there we moved to Queensland and I was invisible. Grade 11 I was singing in the stairwell, a Taylor Swift song, and these two guys who were very popular went over the railing and saw me. I just remember pure shock on my face. Then they went and told everyone in the school that I could sing, and this teacher forced me to do music. I got up to sing at assembly and it was the most traumatic experience of my life. From there, after high school I did university and I didn’t take music seriously. Then something washed over me and I realised that I couldn’t imagine doing anything else. Everything has just been a build-up from those experiences. So maybe being forced on stage by the popular kids was a good move for you in retrospect? I’m not sure, maybe. [Laughs.] I’m still remembered for it at school, I’m still that girl that sang ‘White Horse’ by Taylor Swift at assembly and everyone was surprised ‘cos she was actually kinda good. So you released your debut EP in 2012. How was the response to that? Well, amazing. I put it out because it just made sense, I was working on all this music without a team. It did really well for me having expected nothing. I think it got a few mentions on The Guardian. It was really strange for me because I didn’t have PR, and I didn’t have a manager. I’m a big believer in just putting things out in the world and seeing how people react to it. That EP just reaffirmed that. It’s very different to the stuff I’m doing now, but I wouldn’t take it back. I was going to say it seems to be a lot more on the folk side than where you’re at now. At the time I was always thinking about the live aspect [of the music]. The only way I knew how to translate that was with guitar. I didn’t know that there was all this other music. To be honest I’ve always been a pop kid, so the only lyrics I knew how to write were folky things. It was never intentional. I guess I’m in a different environment now. Has the kind of music you’ve listened to changed over the past few years? Yeah, I definitely started listening to variations of pop. I’ve always been able to appreciate it, and when I say ‘pop’ I mean a broad range. I love everything from Taylor Swift to Drake. I’ve always loved R&B as well. You’ve been working with more independent producers lately. What do they bring to the table in terms of your sound? I’m not very good at the programming stuff. I’m only just learning how to do that. So it’s about finding other producers that are like-minded and understand these programs very well. When I work with producers I’m very much co-producing it with them. Though it might not be me pressing the buttons, I’m very precise, and I know what I want. They definitely bring lots of ideas to the table as well. I worked with Thrupence on my cover of ‘Let Me Love You’, and he is just brilliant. He understands samples and textures. He really knows how to work in the hard hip-hop beats, and helps find a melody over the top of that. It’s a very big learning curve for me, but I’m very much enjoying it. Do you find you’re on the same creative wavelength with Thrupence? Very much so. We love the same kind of music, which is great and he’s always willing to experiment. I think, because he hasn’t worked with a vocalist before, he’s never been a big music collaborator. He’s not really held back by rules and all of that. He’s not restricted by his work in the past or how his previous collaborations have gone, so he’s free to try new things. That cover of ‘Let Me Love You’ has had two million plays on SoundCloud since August. Were you expecting that response? It’s pretty nuts, I didn’t really expect anything like that. My method for that song was “I want to put out a song because I haven’t released anything in almost two years, but don’t want to sacrifice an original,” because I really am working on making this the best EP possible. So [Thrupence and I] were just mucking around in the studio and it just happened. That cover alone has opened up so many doors for me it was insane. I am really so thankful for Mario and Ne-Yo for letting me sing such an incredible song. Two million people is nuts, I can’t even fathom that. They say you only meet 30 thousand people in your lifetime, and to think that over 30 thousand people have heard me is insane. Probably enough people for several lifetimes. So when can we expect the second EP? So right now we’re still getting a couple of the tracks. Like everything is right there. We’ve had a lot of label interest over here in Australia and abroad, but my team is just working on making sure the rest of the people that join my team are the right fit. So I guess maybe mid-2015. Are there plans for a full length? Yep, definitely ­– I’ve already started writing. Would that be a 2015 release, or early 2016? I don’t think I can remark on that. I’m not into making lots and lots of music. I’m into really strategising and figuring out exactly what I want. You’re in it for the long game? That’s exactly what I’m in it for. I don’t really believe in hype tracks. It is what it is, and I believe good music is good whether it comes out now, or in six months time, or a year.